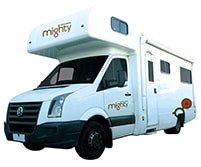 Mighty is the leading provider of low cost motorhomes in the New Zealand market. Vehicles are well serviced and there is full 24 hour roadside assistance. Mighty provides low cost campervans, for priceless adventures! 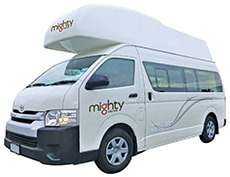 Mighty has the largest fleet of low cost motorhomes in New Zealand. Mighty provides a large range of value add products and services such as picnic tables & chairs,baby seats, safes and more.